Posted by admin on Dec 6th, 2018 and filed under Frontpage. You can follow any responses to this entry through the RSS 2.0. Both comments and pings are currently closed. In politics, they say there is no permanent friend or enemy, but permanent interest. This popular saying is playing out in Imo State, as most of Governor Rochas Okorocha’s die-hard followers go their separate ways in pursuance of their various political ambitions. According to information available to Trumpeta, most of the politicians who vowed to swim and sink with Governor Okorocha’s plot to hoist his son inlaw as the Governor of Imo State come May 29, 2019 have all abandoned the project to seek for their own political lives. Trumpeta learnt that Chief Emma Ojinere, whose name appeared as the APC candidate for Owerri Senate, Hon Nnanna Igbokwe for Ahiazu/Ezinihitte Mbaise Federal House Seat, and Hon Chike Okafor for Obowo/Ihitte Uboma/ Ehime Mbano Federal House position have all left the “Rescue Mission” family for the Senator Hope Uzodinma Governorship Train. Trumpeta learnt that the men in question, were alleged to have agreed not to abandon their tickets for that of any other political party, since it was not easy in the first place, to secure the APC tickets. Trumpeta also learnt that the men could not have dumped their ticket, when their mentor and Leader, the Governor of Imo State, Owelle Rochas Okorocha could not sacrifice his Orlu Senatorial ticket for Uche Nwosu to emerge the Imo APC Governorship candidate, when Okorocha was given the option to pick an alternative choice between the two carrots. 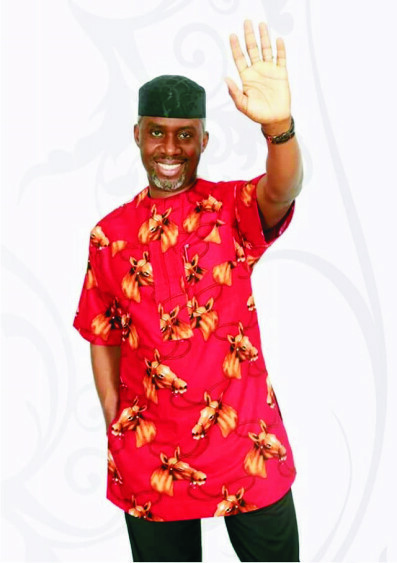 However, whether the three candidates will work for “Rescue Mission” Governorship candidate, Chief Uche Nwosu who holds the Action Alliance AA ticket is yet to be seen. Meanwhile, their Leader, Okorocha has make it clear that he will work for Uche Nwosu’s Governorship project under AA, President Buhari’s reelection under APC, but not Hope Uzodinma’s election in APC as Governor. But Trumpeta learnt that APC National hierarchy are aware where Ojinere, Okafor and Igbokwe are coming from, and therefore have placed them under surveillance to monitor their activities for APC’s electoral success in Imo. “These people risk suspension or sack from APC wherever found playing Antiparty. Remember, political party and not INEC has the final say on party candidates” Trumpeta was told. However, this Newspaper was told that these men have been playing safe not to incur the wrath of both Uzodinma and Okorocha and therefore play “nocturnal politics” to survive the harsh situation facing them.